These days, sophisticated technology means that we can capture pictures and videos to keep treasured memories last forever. However, a picture is worth a thousand words, but what if you want a thousand and one? Photographs do not tell everything, and sometimes in life, you wish you’d kept more reminders of your past. From childhood friendships to academicachievements, keeping all of your memories in one safe place will give you something to look back on and treasure for years to come. If you have items scattered around the house and you’re worried about losing or breaking sentimental value, you should consider pulling everything together into a single memory box for you look back on when feeling nostalgic or in need of an emotional pick-me-up. If you have a class ring from signitas, a school class photo from junior school or a sports certificate, make sure that you put all of these precious memories into your safe memory box. Life can pass too quickly, and we don’t always appreciate everything at the time, but in later years, we can wish that we had more to show for our younger years. Memories fade but having physical items will remind you of your great days out, romantic getaways and friendships. Unfortunately, there will come a time when we can no longer spend time with those people we love. Sometimes our best friends move far away, and of course, loved ones will pass. When you lose someone that you love, then you may find great comfort in some of the things that remind you of them. However, some might not find immediate comfort, but further along the line, they may be glad to have kept letters, birthday cards or friendship bracelets that’ll let them continue to live beside you. Another good reason to keep a memory box is to keep things safely away from the grabbing hands of little ones who may decide to be creative with your items. Kids will often go exploring in the house and what you think might be safe in a drawer could end up being drawn all over or broken within a few seconds. To avoid this, store your memory box somewhere high up and out of reach, or place a lock on the front. Whenever you have a great day out or a wonderful experience with your loved ones, don’t rely on photos alone to look back on. Think about the small items that you could keep to remind you of the event. Birthdays and trips to the zoo or picnics in the park all have items that can trigger pleasant memories in years to come. However, we’re not suggesting that you become a hoarder, and you shouldn’t be filling your house with items from every small event that you ever go to, but having a box can limit what you keep, ensuring the items kept are of significant importance. Memories are precious and can be forgotten all too easily. 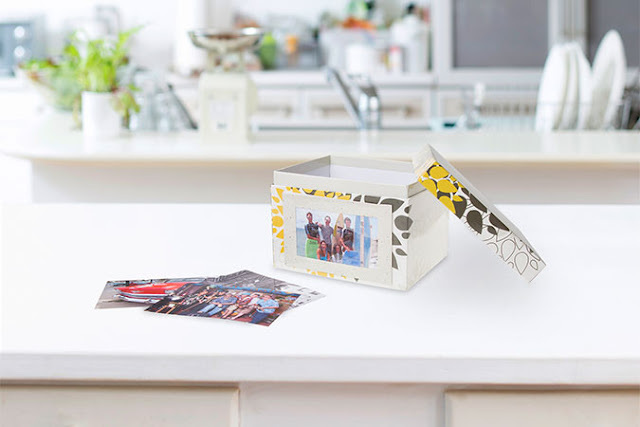 A memory box is perfect for helping you remember details of those favorite days, and can become priceless to the eye of the beholder.